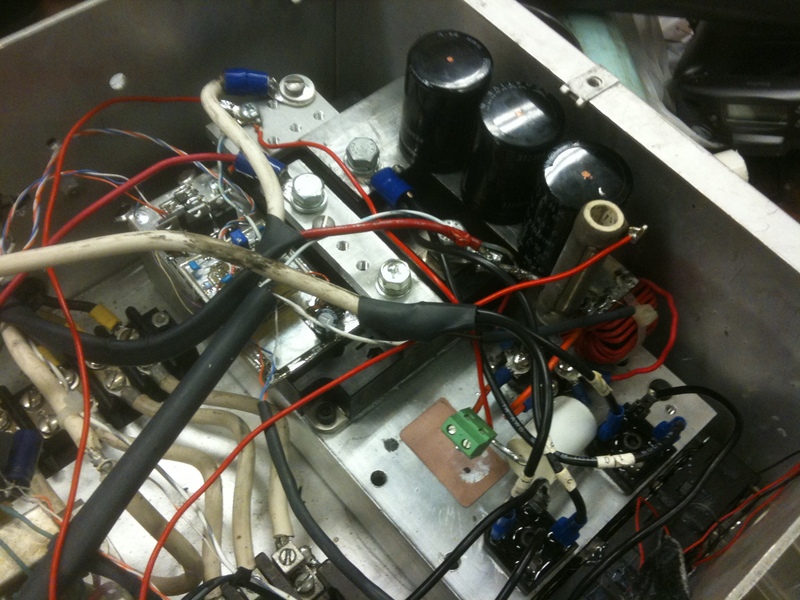 Big coil needed a big boost converter to supply 1kV at up to 10kW, powered by 208 3-phase mains. 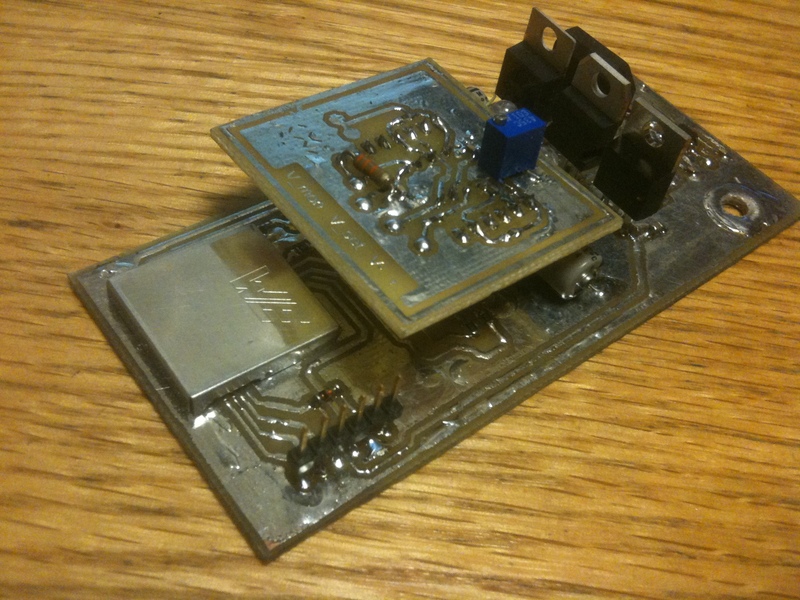 Originally I had built this converter with a TL494 control chip, but I was not satisfied with how it was performing. There were occasionally oscillations on the outputs which led to damaged transistors, and it was difficult to control the boost inductor current. For high power boost converts of this nature, I have always preferred discontinuous mode since it makes half of the switching events zero current, and also makes it easy to prevent inductor over current issues if feedback is used to force discontinuous operation at all times. It is fairly important to insure that the boost converter isn’t actually running during the inrush of charging the output buscaps, since during that period there could be many hundreds of amps running through the inductor to get the output up to the input voltage. It is also possible for the current to build up during the first boost cycles, when the current decay in the inductor takes longer to reach zero than the off-time permits. Both of these problems can be solved by sensing the inductor current, and only running a boost pulse if that current measurement falls below some threshold. I chose to accomplish this with a microcontroller since it would be compact and easy to modify. Each pulse it checks that inductor current is below 10A, and the output voltage is below the set voltage. If this is true, it gives a boost pulse of fixed length, leading to an inductor current peak of roughly 100A. If either the inductor current or the output voltage is too high, it waits until that is no longer the case. This results in a hysteresis control loop. It seems to work and I have never had anything burn out since switching to the microcontroller system. The coil it was powering even faulted in a short circuit condition and the boost was not damaged since the inductor current sensor noticed the fault and shut down the microcontroller. External comparators are checking voltage and inductor current, and then sending digital signal to the microcontroller to signal when the next pulse should be. 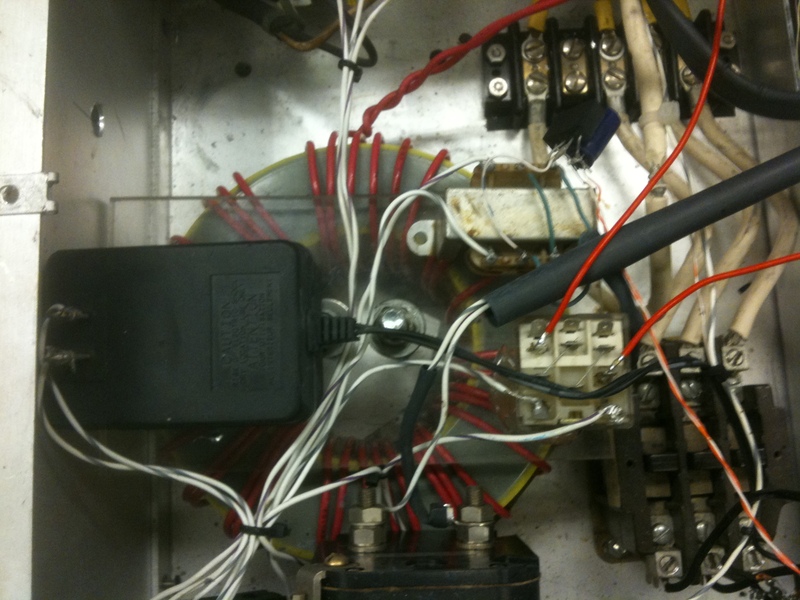 Controller, screws directly onto the 900A IGBT brick. Boost inductor, input contactor, and high speed cap bleeders that engage on disconnection or power failure. Boost transistor and diode are both in the brick.